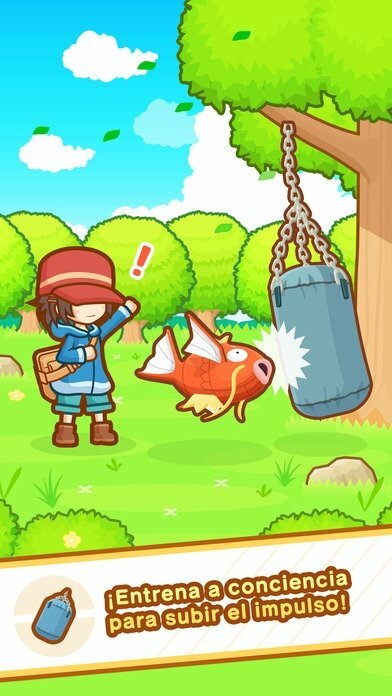 If you've ever played Pokémon GO, you probably didn't waste any time trying to catch a Magikarp. You know that he's definitely not the best Pokémon... in fact, he's very far from that and is probably the worst one out there: he only knows to jump around uselessly. 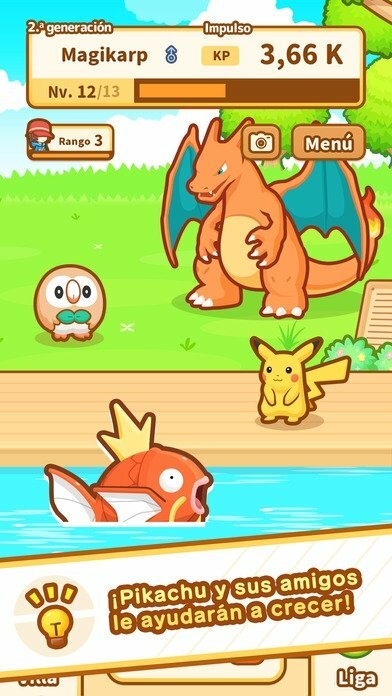 Here in Pokémon: Magikarp Jump, you'll have your own breeding pond where you can turn him into a worthy Pokémon generation after generation. Feed him, train him, and make him face up against other rivals in different leagues (up to a total of 8), in which you'll be able to play online against other trainers like yourself. 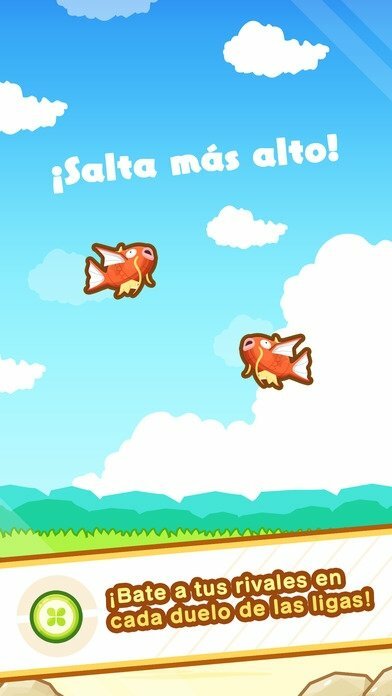 Breed several generations of Magikarp feeding them in the pond and making them train to gain jumping power. Make use of the best and most famous Pokémons such as Pikachu or Piplup. Decorate your pond and customize it with your own style. It will help your creature to gain in confidence. 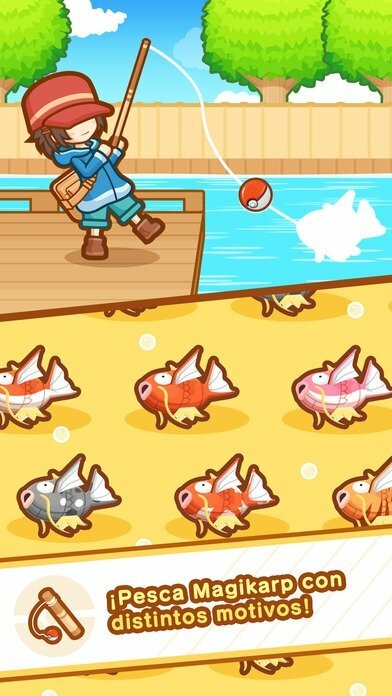 Discover special calico or polka dot Magikarps to share them with your friends. In the game, you'll be able to build a pond with many of these creatures as you'll be able to fish them. Then you'll have to take care of feeding them, training them and making them fight each other in different leagues, starting off with the most basic and simple ones to gradually increase their difficulty. 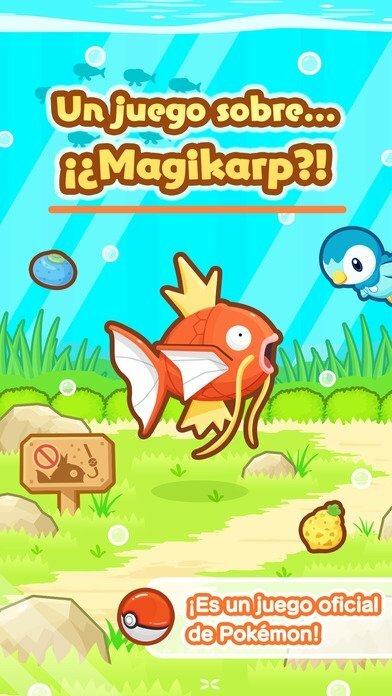 The official game of Pokémon Magikarp. Feeding him is all about telling him what food he can eat within the pond, training him is all about making him jump time after time, developing the jumping technique that this Pokémon is an expert in. And so on until you manage to become a great Magikarp trainer and win the trophy that certifies that you've won in different leagues.